Just got the Witch card from one of your chests? 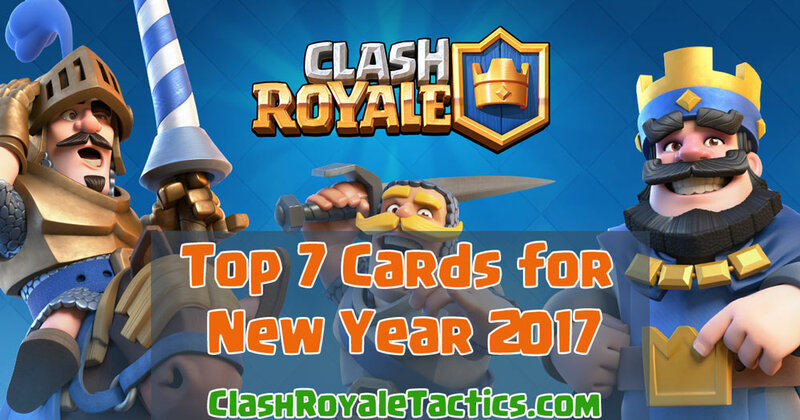 This article explains how to get the most out of using this card in your decks. The witch summons skeletons, shoots destruct beams and has glowing pink eyes that unfortunately don’t shoot lasers. She is best used in arena 1 to arena 6. The Witch card can be obtained as early in the Training Camp where you can start building your deck and win battles as you go to higher arenas. 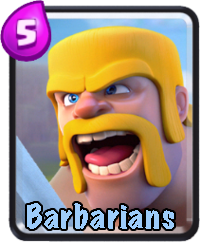 It is really a good card especially for beginners and can counter many cards from lower arena decks. The strength of the Witch greatly relies on her skeletons. Her versatility is really an advantage in early arenas since you only have few cards to play with. She’s easy to use with combinations of different cards. She can be an offensive pusher with her skeleton and a defensive counter attack for tanks, flying units and multiple units. Her splash damage counters minions, skeleton army, low level Barbarians, goblins, etc. Her skeletons can counter tanks like giants, giant skeleton, etc. 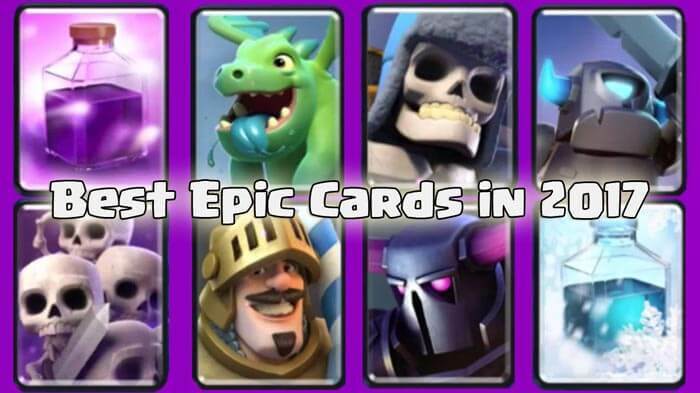 and strong fighters like the prince, mini pekka, pekka, and etc. However in higher Arenas, this is where the Witch will slowly lose its shine whereas there are many cards can counter her especially with damaging cards like Lightning Spell and Rocket that can 1 hit her. Even a high level Fireball can turn her health down immediately. Another weakness of the witch are area/spash damaging units like Bomber, Wizard and Valkyrie, which kills her summoned skeleton quickly. A Tank – The witch is squishy and cannot stand alone on it’s own (that’s why she summons skeleton). She definitely needs a front line defense and a tank card is the best. Having a tank would save her from incoming damages and will let her little skeletons survive long enough to multiply and reach the tower for a devastating damage. Adding Low Cost Cards – Cards like goblins, archers or skeletons are important to protect and support the Witch. It can be really useful to follow up or counter attack your enemy. One Other Offensive Unit – The witch alone doesn’t do much damage compared to other units (even with the recent buffs) so adding an additional offensive unit like wizards, musketeer, etc with the witch can destroy your opponents. 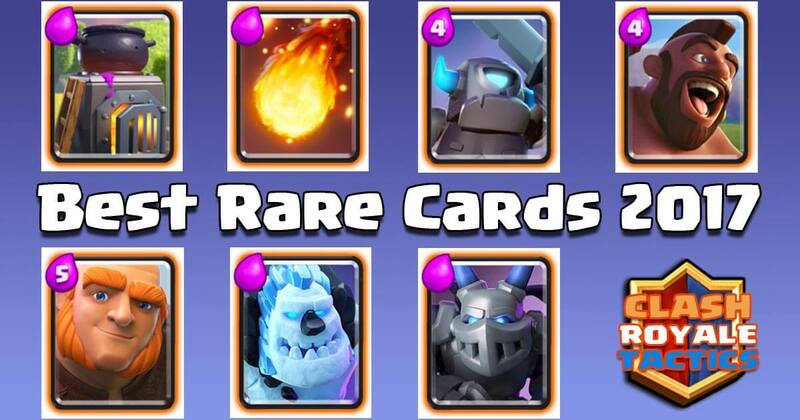 Utility and Spell Cards – A good spell or utility card like arrows, fireballs, lightning spell or freeze spell is a great tool in offensive and defensive strategy. Since the witch excells in both, she can make use of these utility to push and punish her enemies. Ex. Freeze allows her to safely summon more skeletons to deal more damage to the units that are frozen. Buildings and Unit Generator – If your style in using the witch is to continuously pressure your enemy with spawning structures like Barbarian Hut, Tombstone, Goblin Hut and the new Furnace, it is also an effective strategy for single lane pushing, defending and split pushing strategy. Tip: You can place the witch behind the crown tower so that it can spawn more skeletons before reaching the bridge. 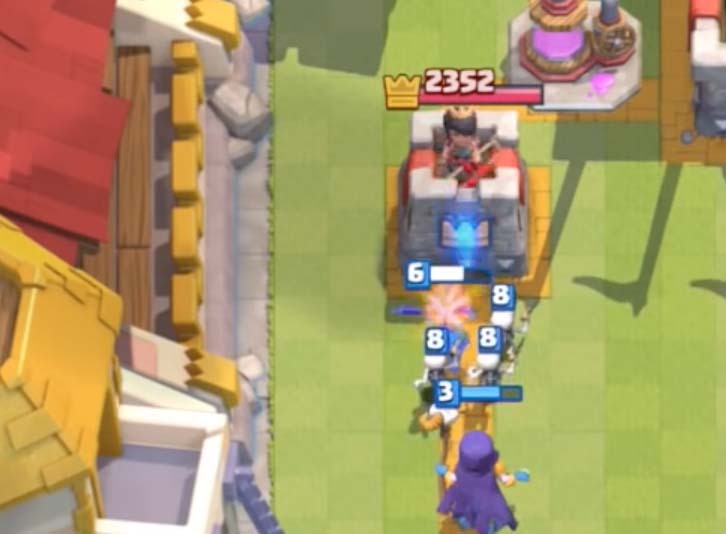 Just make sure that you have a tank already ahead so that the skeleton won’t die before reaching the tower. Let me know which Witch decks works for you! If you have other good combinations with the Witch, comment it below and share it with us! Interesting info. I have been testing her about a bit in Arena 7 (2500-2700 trophy range) after the last patch with buffs to her and skeletons. I have won and lost matches with her, I think she is improving. Right now I most commonly come up against her in spawner decks. One issue, you mention the Witch as a good counter to the Dark Prince, this in not really so since he deals splash damage and negates the skeletons every time he swings. Glad you noticed about the Dark Prince. I have the same opinion about that and edited the slight error. The Witch is even more effective with the damage increase this June patch! How are you playing her, so far? Yeah she went from being a pretty good card that worked with a few decks to a solidly good card that works with even more decks. Before the last damage buff she was no replacement for a Wizard. Now she is a contender due to the spawning of the skeletons adding value for what she lacks in personal DPS. Since her DPS was her weakness, the increase has narrowed the gap a lot. And if you have a good tank in front of her those skeletons add up to a lot of value. I have swapped her in on some decks in place of barbs, minion horde, wizard, and a few other spots. I have been having overall good success.